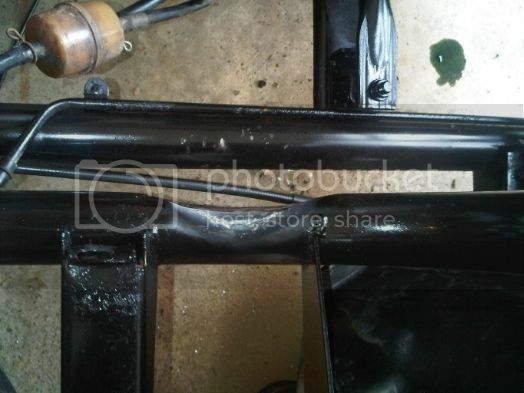 To make the cart idle unplug the black with white stripe wire on the passanger side rear fender then just adjust idle screw. 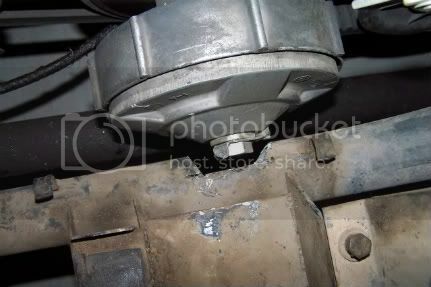 The starter is not engaged until you step on the pedal to engage the solenoid. 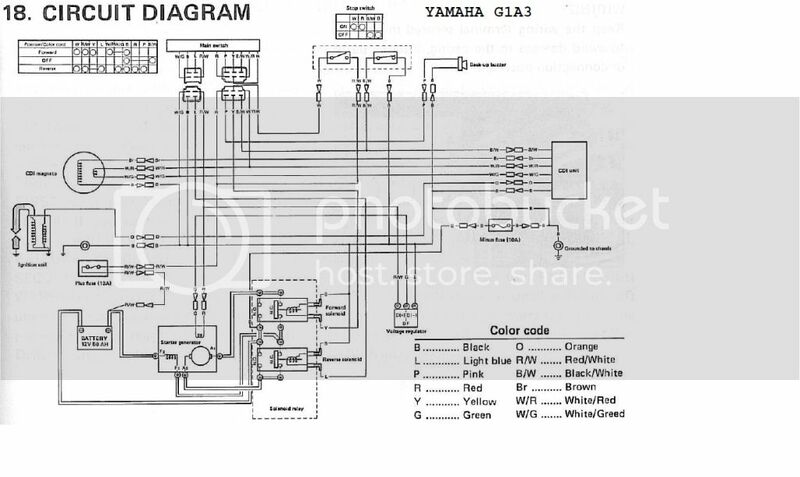 Also allowing the motor to idle this way will not harm anything, this is how yamaha recommended to do it. Cart will start with pedal but you will have to turn key to off to shut it off. Moosin- The G1's are grounded to the frame and to the battery. 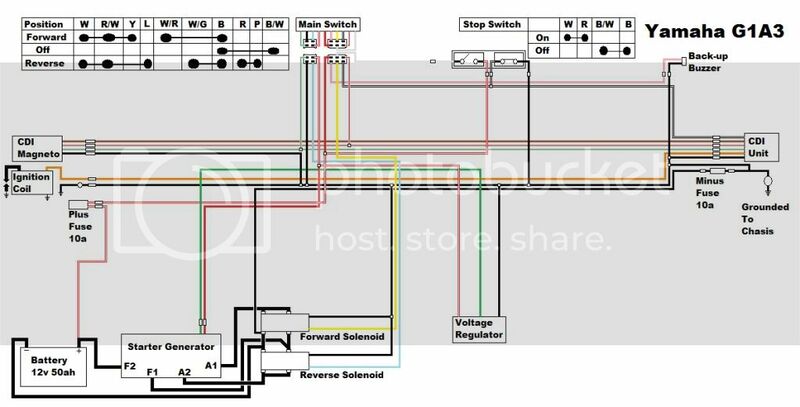 Here is a color wiring diagram I made up based on the one out of my manual and it plainly states "grounded to chassis"
I can email a PDF drawing if someone is interested in platform. I wanted something a little different for the rear seat platform. Sending unit is Sunpro universal from Summit Racing (about $15). Brake switch is from Orielly's (for a '69 Charger - like $ . 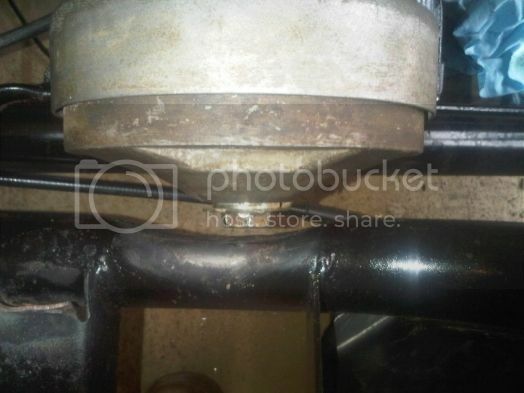 I fashioned a bracket that mounts to main bolt. Hope these are helpful! I cleaned it up on request. We seem to all have trouble with cart years/serial number. Thanks to KY_Mike who's chassis thread lead me to the numbers on the crank case. My G1 is a 1983. Frame numbers on mine are long gone, but this should be an easy to fine SN for folks trying to determine year. You can see the numbers on the photo. Mildly useful information - steering wheel from Yamaha Rhino fits G1. This was confirmed by others, and is shown here mounted. I scored this super-clean one off Ebay for $25! Another tip - this one is a supplier. I found trim fasteners @ Lowes for 52-cents each ($1.04 for a 2-pack) that fit in the holes, but that is expensive. I found same ones online at clipsandfasteners.com. Purchased 45 fasteners for $17. They are perfect for holes for flooring and trim piece(s) on top of front body panel. Search for PAS1603 (item number is picture caption).